A few years before their anniversary, Lisa's husband had surprised her with a new diamond for her wedding set. She loved her new diamond! But she got to thinking...since she had three childred and planned on giving each of them one of her diamonds someday, she decided that she and her kids were worth it- she'd get two more. So she stopped into Stambaugh's and told us what type, size, and quality of diamonds she wanted and what she planned to do with them. We ere happy to help Lisa's plan come together and now she has three beautiful children and three beautiful diamonds. When Mark made the decision to propose, he know that he wanted it to be special. After hearing about Scott's upcoming trip to Antwerp, Mark thought that havinga hand-selected diamond would make for the perfect ring. 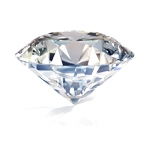 Scott even called Mark from Antwerp when he had found the perfect diamond. Mark's excitement grew as he waited for the diamond to arrive in Defiance, and once he laid eyes on it, he knew it was going to make a beautiful ring. Chad planned his proposal down to the last detail, including having his personal diamond broker. Scott Stambaugh hand-selected the perfect diamond for him in Antwerp, Belgium. Then our expert jeweler, Doug, set the diamond into the engagement mounting Chad had meticulously selected. During their unforgettable fishing trip. Chad surprised Betsi with a lovely proposal and her beautiful engagement ring....on the end of a fishing pole. What do you get a man who has "everything" for your wedding anniversary? Why an Antwerp Diamond, of course! Samantha had decided that rather than getting her husband another tool or toy (which he has plenty of), she wanted to mark their anniversary with a fabulous new ring as an expression of her love. She came in with an idea and we searched through hundreds of loose diamonds to hand-select Samantha's perfect diamond. It all came together beautifuly. And boy...was he pleasantly surprised! Andrew visited Stambaugh's several times to decide what type of diamond he would like Scott to find for him in Antwerp. Then he visited a few more times to select the perfect ring. He planned a romantic dinner, popped the question, and Maureen said Yes!